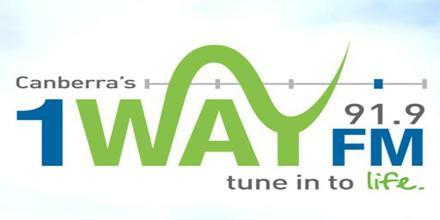 1 WAY FM is a broadcast radio station from Australia Canberra providing Christian music. This station presents a Christian message of hope and encouragement to our listeners. This is a Canberra’s Christian community radio station. It aims to serve the community in Canberra (Australian Capital Territory) area. 1 Way FM broadcasts radio waves you hear so-called “modern music for adults” (adult contemporary music). This expression is used to describe a certain type of program on the radio. To get more information just visit; 1WAY FM official website: www.1wayfm.com. Canberra Christian Radio Ltd, the parent body of 1WAY FM, has been established with a vision of: Promoting a Christian perspective across the community. Frequency: 1WAY FM broadcasts to Canberra, ACT (Australian Capital Territory), Australia and the surrounding regions of NSW (New South Wales) from transmitters at Poppet Hill on 91.9 FM and Isaacs Ridge 94.3 FM. Inspirational Time (Sunday 2-3.30pm) by K.O.B. News, sport, and weather update weekdays every hour from 6am to 7pm. Laughs, fun and “not-so-hard-hitting” news waking you up with the best possible outlook for your day with Jesus. Including interviews, local news, traffic updates, laughs and more. Also including the Family Minute and Dads for Kids. All your new music and news, fun banter and more. Social contact: Facebook, Twitter, Instagram, Website. Address: PO Box 927, Fyshwick ACT 2609, Australia. Liveonlineradio.net has 1 WAY FM in its listings. Just click and enjoy. 1 WAY FM – www.liveonlineradio.net/australia/1-way-fm. KWHL FM – Alaska’s Rock!